You can email your former guests that link and it will take them right to your section. Thanks go to Nathan Allan of the Swan Town inn who reminded me that this info was missing. Our beautiful mahogany credenza had white pine parts that had to be ripped-out because of termites. We stack most of our lumber in the soon-to-be tree house suite where it is out of the rain and protected. The wood pile is a selection of the old treated long leaf yellow pine and the newer treated pine (supposedly less toxic) and several cabinet grade woods that aren't treated as well as copious amounts of cedar that we use for building the houses. If you go through this pile when selecting lumber you can get a good idea of the termite resistance of the various woods. Mahogany never has any termites and cedar doesn't either except in the sap wood. So any cedar boards that were plain sawn (not quarter sawn) from smaller logs end up riddled with termites near the edges where the sap wood was. So that wood has to be thrown away or ripped to a narrower board which only has the cedar heart wood. There is also some white pine trim in the stack which doesn't always get termites but like the white pine in the credenza will eventually get termites given enough time. The termites are very selective. They know what they like and will choose one wood over another and only eat certain woods when they are very hungry. Take a fine hard piece of oak and bury it in the wood pile. Stack the most toxic termite resistant boards you have around it. Hide it beneath mahogany. Cover it with teak. It doesn't matter if it is white oak or yellow oak. All that is required is it be oak. That fine kiln dried oak that is used for constructing the most expensive furniture. Then stand back. Wait a week and dive into the lumber pile. If you wait long enough you won't even be able to find the original oak board. Oak is termite candy. The rainforest termites have wings and they swarm all over searching for delectable woods. And oak is like gourmet imported caviar to them. They will find it and devour it before any other woods. Their method of searching out oak is also to be admired. I had an oak table that I flow-coated with clear epoxy. It was completely sealed on all surfaces with a quarter inch of solid plastic. That table today is a study in termite boring technique. The termite tracks through the clear epoxy look like tunnels in a glass ant home. I understand that termites don't eat mahogany because of a natural toxin that is in the lumber. When you are cutting and sanding mahogany it is important to not breath the dust (wear a mask with carbon filter cartridges). Termites don't like teak because of the very high silicone content. The hard silicone gives them a tooth-ache. Cedar also has natural bug-resistant toxins. That is why cedar is used in closets to prevent sweater eating moths from visiting. Cedar is also very expensive. We use Western Red Cedar for all our construction but we are lucky as there was a three story mansion here entirely built from Cedar that was destroyed in a hurricane so we were able to save all the Cedar and recycle it for use in the new houses. No Beach Bar, No Problem! A hidden beach is the ideal spot for nature lovers to escape to. Heres’s the details on how to get there and have the perfect day on a tropical beach to yourself. A gourmet, sophisticated dinner party at the Inn is made all the more special by a string quartet serenading us throughout the meal. A quick trip to Culebra for some good food and good company and a chance to review the new ferry service. 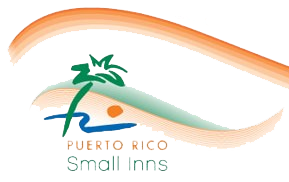 The Rainforest Inn, deep in Puerto Rico’s El Yunque rainforest, grows a wide variety of tropical fruits and produce - and lets you truly taste the rainforest. Hiking boots or even most trail running shoes just become caked mud ice skates when hiking El Yunque trails. Laurie discovered the aggressive lugged-tread flexible souls of Inov-8 shoes and now I bought some new ones and tell of my experience with them. When you stay at the Rainforest Inn you have options. 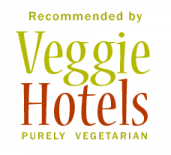 Think of us more like a boutique hotel. Instead of joining the conversation with other guests at the breakfast table you can choose to be served on your private porch or even bring a tray to your partner in bed. Let us help you make your stay as romantic as possible! El Yunque's El Toro Trail is Open! El Toro Trail, the most adventurous hike in the El Yunque trail system is open! It's the closest trail to the Rainforest Inn. 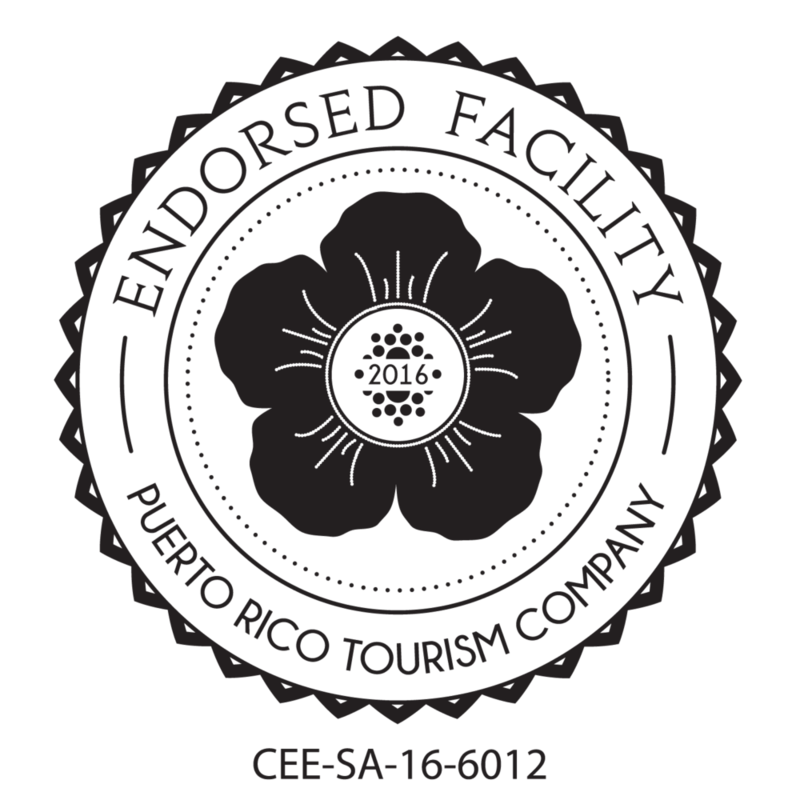 See the amazing cloud forest of El Yunque. Hike to the tallest peak. It's less than a three-hour hike. Design Tech students stayed at the Rainforest Inn and volunteered at a local High School to provide educational relief by teaching design thinking. They also explored the Rainforest on our "Lost Machete" hike. They hope to return to Puerto Rico someday and stay at the Rainforest Inn as interns. The Rainforest Inn's private trail into the El Yunque jungle is the only access we know of that is completely private, open only to our guests, and which features both an amazing deep pool and a spot to pitch hammocks near the waterfall. 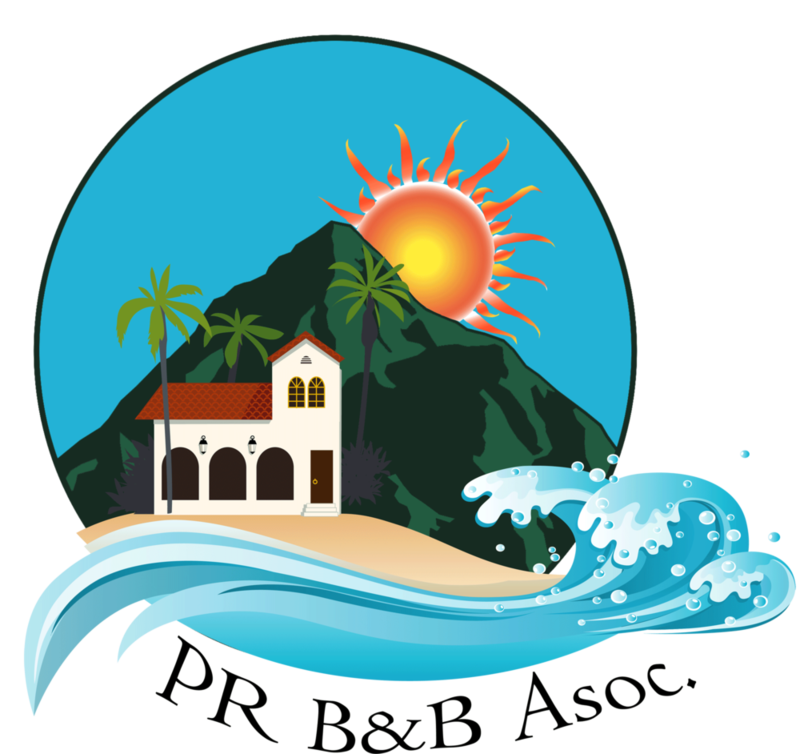 Member of Puerto Rico Bed and Breakfast Assoc. Whether it's your first romantic holiday away, a second honeymoon, or if you’re just parents needing a break the Rainforest Inn is always a "Child Free Zone". If you are using a screen reader and are having problems using this website please call 925-291-3131 for assistance.